The past will always find you. Watch the new trailer for Blade Runner 2049, set for Philippine release on October 6! 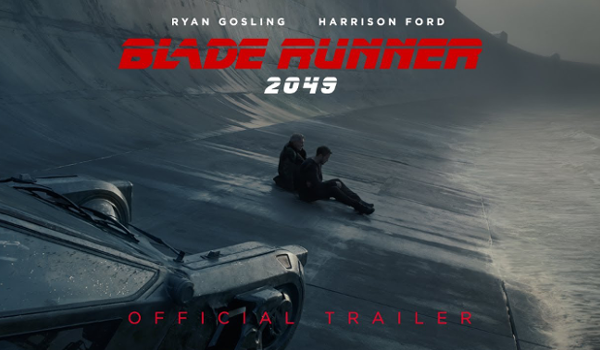 The highly awaited sequel to Ridley Scott's 1980S original classic, Blade Runner 2049 is directed by Academy Award-nominee Denis Villeneuve (Sicario, Arrival). It is set 30 years after the events of the first film. Here, a new blade runner, LAPD Officer K (Gosling), unearths a long-buried secret that has the potential to plunge what’s left of society into chaos. K’s discovery leads him on a quest to find Rick Deckard (Ford), a former LAPD blade runner who has been missing for 30 years. Blade Runner 2049 also stars Robin Wright, Ana de Armas, Sylvia Hoeks, Carla Juri, Mackenzie Davis, Barkhad Abdi, Dave Bautista, David Dastmalchian and Hiam Abbass.